It was my son’s first soccer game of the season and it poured! Not just a regular rainy day; but a cold, blustery, soaking wet kind of soccer day. It would have been the perfect fall Sunday to spend inside with a hot cuppa tea and a movie. But after the next couple of cold, rainy days it looks like we are back to those perfectly beautiful, clear, crisp, and sunny fall days… the ones that make it such a fantastic season. As a teacher, September really does feel more like a “new year” then January 1st does, so I really love this Fitzgerald quote. 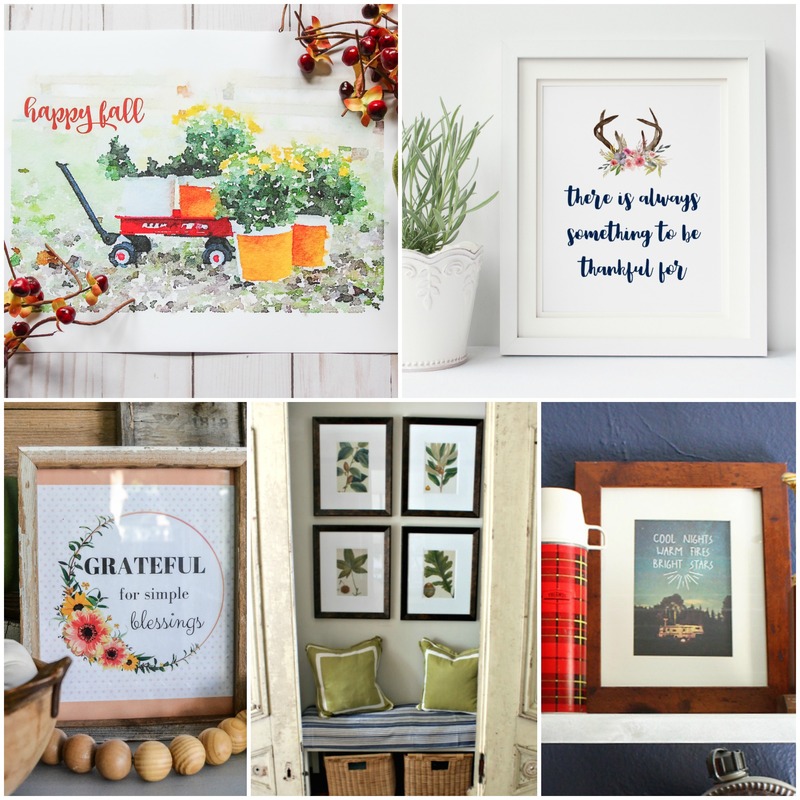 And this week I’ve joined up with an amazing group of blogging friends this week who are also sharing their own fall free printable. You can see what they are sharing down at the bottom of the post! Because I know that aqua isn’t a usual fall colour I also made this available to you in a soft neutral brown as well as classic fall orange! You can download the printables in the 3 different colours yourself by clicking here or the button below to subscribe. 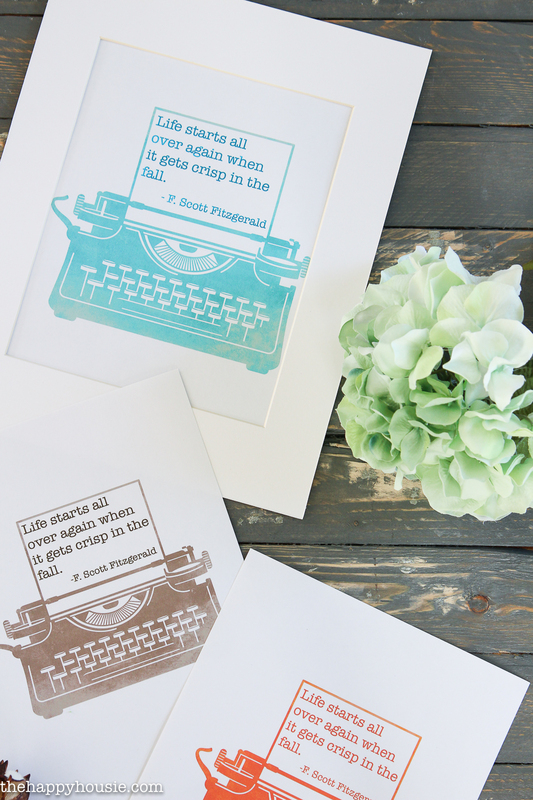 As I mentioned, some of my talented blogging friends are sharing their free fall printables this week as well! Hop over to check them out and download your faves! To be honest I forget to open your emails sometimes…then I see your arrow & I light up. You make the hard days a little brighter, because you put love in your work; it shows & you share it with all of us. So thank you with all my heart! Love the vintage typewriter. If only it felt like fall here in the southwest! Visiting from Show + Tell. 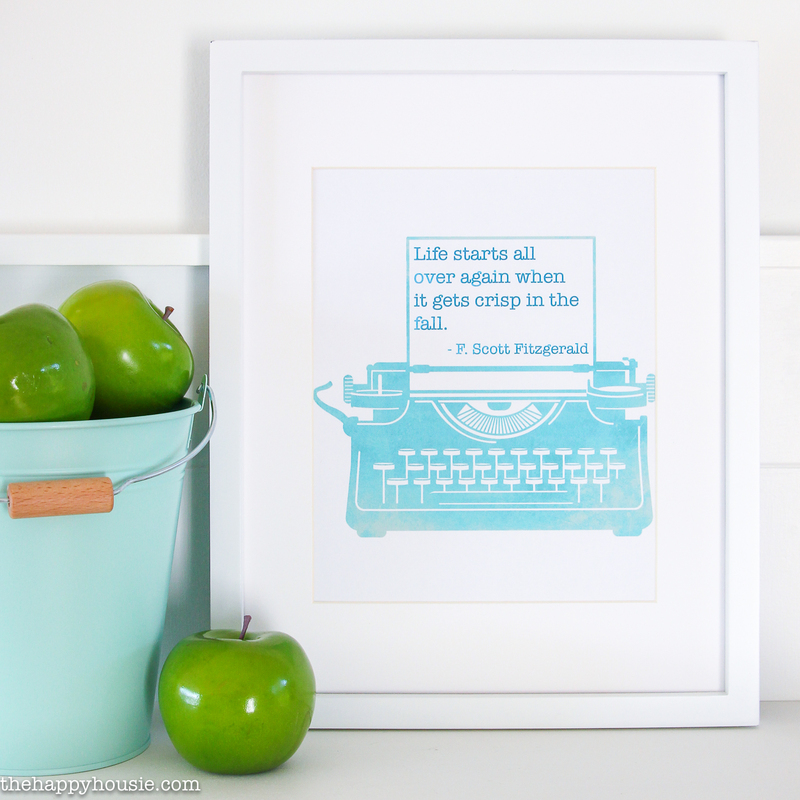 I love this quote and I have a vintage typewriter like this! The combination is fab! Love the typewriter, Krista! The blue is my favorite! 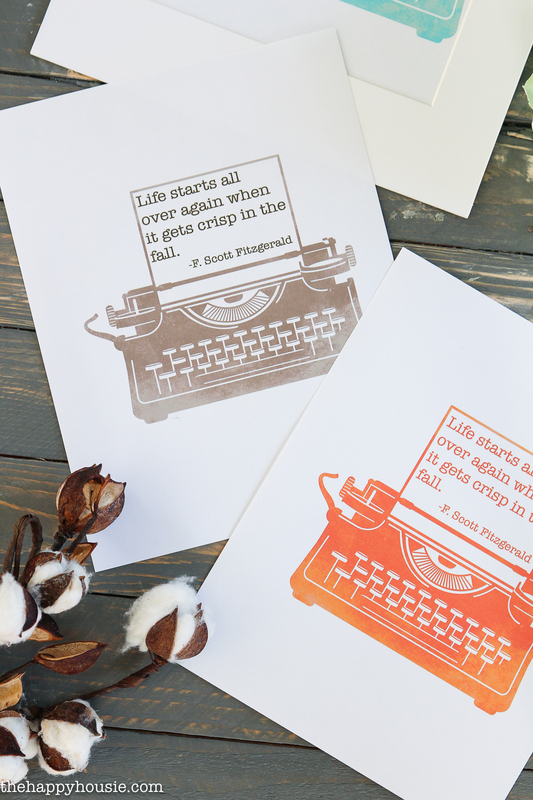 Vintage typewriters are the best! 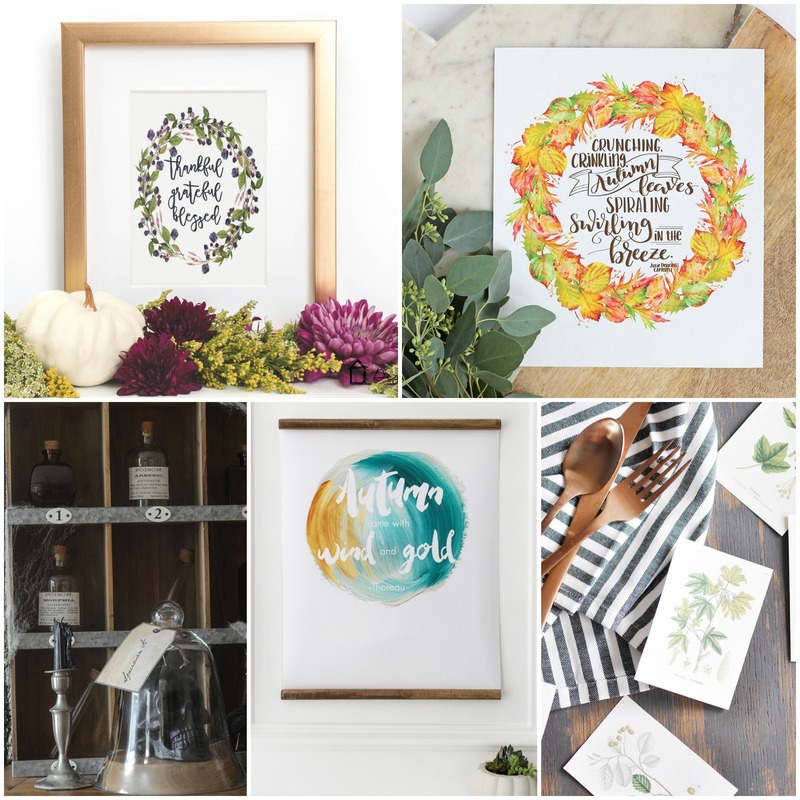 I love that you incorporated one in this printable! I love it! Happy fall!